As difficult as daily life with chronic illness and autoimmunes can be, perhaps the most difficult part of the journey is figuring out what the diagnosis even is. The diagnostic process can take many months, or worse, years, to finally arrive at the name of the illness that’s now made its way to your diagnosis list. It's full of frustration while things work through "the system," insurance do's and don'ts get implemented, and scheduling snafu's snag their part of the time, too. It often seems un-win-able. We feel defeated and helpless. So helpless. An AI (autoimmune) diagnosis is almost always very difficult to determine. These illnesses tend to arrive unpredictably and are often disguised as other conditions. A cookie-cutter, one-size-fits-all approach won’t work for diagnosing someone with an autoimmune disorder, for often the symptoms are different from one person to the next, and usually intermittent for individual patients, so nailing it down is challenging. All of this makes for what is often a very long, drawn-out diagnostic process. Knowing that we need to know what we’re dealing with before we know what to do about it, those in the diagnosis part of the chronic journey find themselves frustrated that the process is taking so.very.long. Here are 5 secrets to enduring the very long road from symptoms to diagnosis. 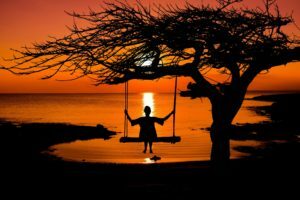 With some helpful tips, we can endure the drawn-out first step of the chronic journey well and with hope and stamina for the chronic life ahead. The whole chronic journey is a marathon, there’s nothing “sprint” about it. The AARDA reports that on average, AI patients see 6 different doctors over 4 years and endure a complicated regimen of blood tests, history review, physical exams, xrays, numerous visits to other specialists, and more, before a diagnosis is finally possible. AS (ankylosing spondylitis) average times are 10 years for a diagnosis because this is when it shows up on an xray. For me, symptoms to RA diagnosis was almost 4 years; Sjogren’s took 11 years. Eleven years. Embracing a marathon mindset is helpful for setting realistic expectations on just how long an auto-immune diagnoses can really take. Understand the elusive nature of autoimmunes. I’ve been in healthcare a long time, and I’d have to look really hard to find conditions quite as elusive as the autoimmunes. Each person’s presentation is different. The symptoms are intermittent. For rheumatoid disease, most people hear “rheumatoid arthritis” and they focus in on bone-only or joint-only symptoms, which more closely depicts an osteoarthritis picture. So other rheumatoid quirks, like fatigue, heart/lung problems, etc., are often not on their radar, the connection isn’t made, and these quirky symptoms are not mentioned to the doctors. So things are missed. AI disorders are often disguised as other, more common, conditions so those conditions are pursued first. When ruled out, it’s back to square 1 over and over again. With this almost hide-and-seek nature of the AI’s, it’s no wonder that a diagnosis takes so long. Understanding just how difficult these diagnoses can be to pin down will help us expect the process to be long, and we can map out a better response than when we erroneously look for things to happen quickly. 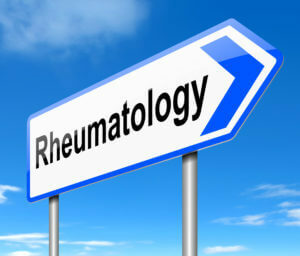 There's a huge shortage of Rheumatologists. The American College of Rheumatology reports that in some regions, the nearest rheumatologist is over 200 miles away. 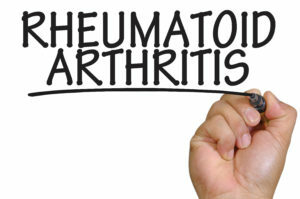 An accompanying ACR workforce study showed 1.7 rheumatologists per 100,000 persons. My friends, that is mind-blowing. It's no wonder that there are waits of 6 or 12 months to be seen by these all-important specialists. Understanding the extreme shortage of these experts and acknowledging that others are simply ahead of us in line can help us be a little more patient. Keep some healthy diversions close by and handy. There’s nothing slower than watching a pot of water boil. The seconds tick by ever so slowly. Same is true in the AI diagnosis process. It seems like a name for whatever is going on just will not come. To help pass the time, I like to have some go-to healthy diversions. 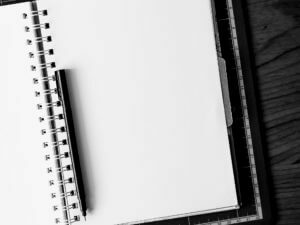 Activities such as journaling, starting or finishing a personal project, taking up a new hobby, or finally reading some books that I’ve been eyeing are a good way to spend down the time and make it pass more quickly. No matter the illness, stress is not good for us, so key in the “healthy” diversion mindset and choose activities that meet this criteria. I started a gratitude journal this year and it's been a really positive thing. It's hard to be negative when you're writing about being grateful for the blessings in your life. Reach out to a friend or support group. Life is easier in community. Healthy community. Loneliness takes a toll our bodies, this is well-documented. Some studies show that loneliness is more dangerous for our overall health than smoking, so staying in touch with friends and family is a good step. We were never meant to do life alone. 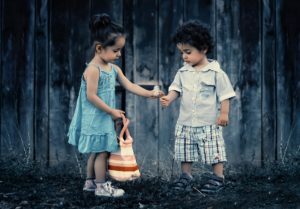 Healthy friendships with others who are good listeners and encouragers will help us stay in a positive mindset regarding the unknown's ahead. Now’s not the time to take on high-maintenance friendships where you have to be the rescuer all the time. I’m not saying we should abandon those friends, nor not help others. What I’m saying is this season will most likely not allow the time, energy nor brain power to invest much in those kinds of friendships. I suggest prioritizing family over friends always, and especially for this season, and picking a smaller circle of friends who will listen, pray for you, and go the extra mile for you for a while. Those are true friends, indeed, and we are fortunate in life if we have even a small handful of these. No doubt about it, the diagnosis part of a chronic journey is difficult. It can take years. Many years. Chronic illness and AI's are just that elusive. In my case, by the time we stumbled upon answers, we’d been waiting and chasing various diagnoses for almost 4 years. Finally on xrays, we caught the rheumatoid changes. My Sjogren’s diagnosis would come 7 years after that, an 11-year wait. Waiting on a diagnosis is slow, slow, slow, but make the effort to use the time wisely. Set reasonable expectations for what the journey really is, which is not quick and painless. Redeem your time by staying busy with healthy diversions, and while in the wait, choose to invest in others and self. Join that AI/RD/Sjs community, meet new friends, and encourage a few who might be in the same situation you’re in. Saddle up, Sister, we’re in it for the long haul. Are you waiting on a possible autoimmune or other chronic illness diagnosis? Our community is here for you and cheering you on. Leave a note about the step you're on and how we can pray for you!